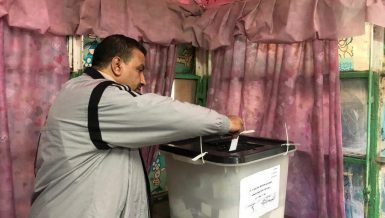 Amid Egypt’s fluctuating relations with the West, notably unstable US aid and conflicts with Germany over the human rights situation, Egypt’s foreign affairs were given wider directions to encompass the Eastern Block. Below is an outline of the major points in Egypt’s turn to the East. 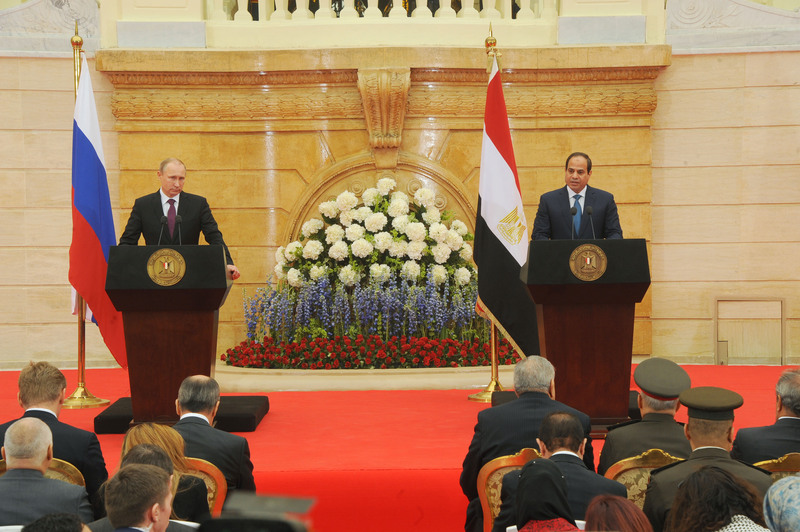 August 2014: President Abdel Fattah Al-Sisi visited Russia, highlighting ties between the two countries were at their best since the Abdel Nasser reign. Al-Sisi and his Russian counterpart, Vladimir Putin, agreed to continue military-technical cooperation between the two states. September 2014: Egyptian Foreign Minister Sameh Shoukry discussed the Arab situation with his Russian counterpart Sergey Lavrov on the sidelines of the 69th United Nations General Assembly. The pair had an “in depth” discussion regarding the current situation in Libya, as well as the status of indirect talks between the Palestinians and Israelis. October 2014: Pope Tawadros II visited Moscow to meet with senior Russian officials and members of the Russian Orthodox Church. Foreign Minister Sameh Shoukry held talks with Chinese Special Envoy for the Middle East Gong Xiaosheng addressing bi-lateral ties as well as challenges in the region. December 2014: The Egyptian President visited China, giving a speech before the Egyptian-Chinese Business Council in China, inviting Chinese investors and companies to actively participate in the Economic Summit. Minister of Industry and Trade Mounir Fakhry Abdel Nour issued a decree stipulating the formation of the Egyptian-Chinese Business Council, headed by Ahmed Al-Sewedy. In addition, Al-Sisi announced the application of a barter system with Russia, allowing the purchase of Russian products and paying for them with Egyptian products. February 2015: Russian President Vladimir Putin came to Egypt, his first visit since 2005, where he agreed with Egypt to establish a nuclear power station and to strengthen cooperation in the tourism, energy, investment and gas sectors, while 400 Russian companies are currently operating in Egypt for investment purposes. March 2015: Defence Minister Sedki Sobhi went to Moscow, leading a high army delegation in an official visit to hold negotiations with Russian army officials. Egypt and Russia, the second highest weapons provider to the Egyptian army, agreed to hold a joint naval drill in the Mediterranean Sea. 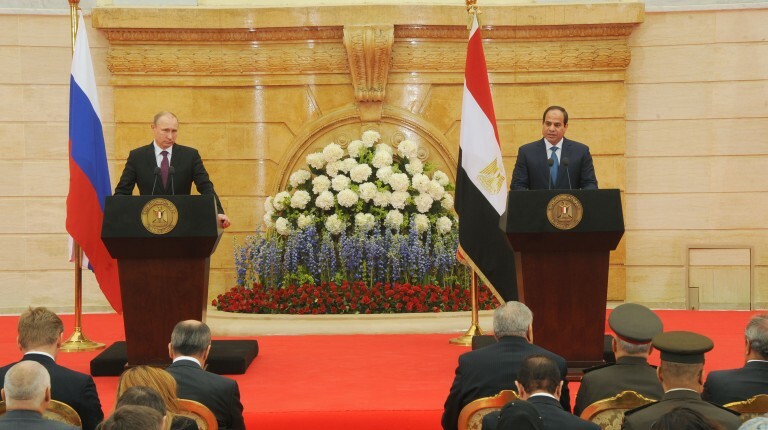 Al-Sisi also met with Russian Security Council Secretary Nikolai Patrushev to discuss economic and terrorism issues. China had the largest participation of countries from outside the Middle East at the Economic summit, with 45 attendees, representing 4% of the total share. With the same percentage of China comes the US, with 44 delegates. April 2015: Sobhi met with his Chinese counterpart, Chang Wanquan, during an official visit to China intended to strengthen Egyptian-Chinese military cooperation. The two strike deals for new weapons and military equipment. May 2015: Al-Sisi went to Moscow to take part of Victory Day’s 70th anniversary celebrations, during which Chinese President Xi Jinping extended an invitation to Egypt’s Al-Sisi to visit Beijing in September.